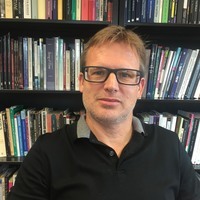 Garrett Cullity is Hughes Professor of Philosophy at the University of Adelaide, where he teaches and writes on topics in practical, theoretical and meta-ethics. He taught previously at the Universities of Oxford and St Andrews. 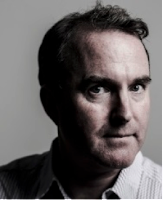 He is a co-editor (with Berys Gaut) of Ethics and Practical Reason (Clarendon Press, 1997) and the author of The Moral Demands of Affluence (Clarendon Press, 2004). In this blog post he talks about his new book Concern, Respect, and Cooperation. Three things often recognized as central to morality are concern for others’ welfare, respect for their self-expression, and cooperation in worthwhile collective activity. When philosophers have proposed theories of the substance of morality, they have typically looked to one of these three sources to provide a single, fundamental principle of morality – or they have tried to formulate a master-principle for morality that combines these three ideas in some way. In this book, I make the case for treating them instead as three independently important foundations of morality. The resulting plural-foundation moral theory belongs to the type pioneered by W.D. Ross. Like Ross, I think that there is a plurality of fundamental moral norms with no master-principle governing their contributions to overall moral rightness. However, my view departs from Ross both in its content and in the type of thing it claims is foundational to morality: it is not a theory of fundamental “prima facie duties”. It also gives a more elaborate account of the ways in which the content of morality is generated from its foundations. Today's post is by Jordi Fernández. He is an associate professor of philosophy at the University of Adelaide. Jordi's research interests are mainly in philosophy of mind, epistemology and metaphysics. He is particularly interested in self-knowledge and memory. He is the author of Transparent Minds (2013), a monograph on self-knowledge, and he is currently working on a monograph on memory. He is also interested in cognitive science and continental philosophy. Jordi's post is the second of a series on chapters from the New Directions in the Philosophy of Memory collection. (See here for the first in the series.) He discusses his chapter "The functional character of memory". Consider the question of what is to remember something, as opposed to imagining it. This is a question that I have tackled in a recent article. I try not to appeal to the phenomenology of memories, or the content of memories, or the kind of knowledge that memories provide. The reason is that, once I determine what kinds of mental states qualify as memories, I intend to shed some light on what the typical phenomenological features of memories are, what their characteristic content is, and what knowledge they usually provide. So it would be circular to appeal to those aspects of memory to answer the more basic question of what mental states qualify as memories. One answer, popular within philosophy, is the causal theory of memory: A mental state representing some event is a memory just in case it causally originates in the subject's past experience of the event. But this condition rules out cases in which the memory is 'reconstructed'. And it rules in cases in which, as far as the person themselves are concerned, the event being represented never happened to them. Neither of those outcomes, I argue, is desirable. Another answer, popular within psychology, is the narrative theory of memory: A mental state representing some event is a memory just in case the subject can use that representation to tell a story of their own lives. But this condition rules out cases in which we are confident that we witnessed the represented event, but we cannot relate it to any other event in our lives. And it rules in cases in which the subject confabulates and the represented event never took place in the past. Neither of those outcomes is desirable either. What we learn from those theories is that one needs to walk a fine line between, on the one hand, allowing for some error in a mental state while it still qualifies as a memory and, on the other hand, not allowing for just any mental representation that we can cook up in our minds to qualify as a memory. I draw on the literature on functionalism to try to achieve the required balance. My suggestion is that a mental state is a memory if it is typically caused by an experience of the event, and it typically causes, in the subject, both the belief that the event happened and the belief that they experienced it. This allows for a memory of an event to be 'reconstructed' as long as, in normal circumstances, the reconstructed memory is the mental representation of the event that the subject would have had, had they witnessed the event. But it does not allow for a confabulatory experience to count as a memory. Typically, if the confabulatory patient had experienced the event that they claim to remember, they wouldn't be representing it mentally now. This last claim, which is crucial for my discussion of memory, hinges on confabulation involving amnesia. This post is by Kevin Aho. Professor Aho is chair of the Department of Communication and Philosophy at Florida Gulf Coast University. He is the author of Existentialism: An Introduction, Heidegger’s Neglect of the Body and co-author of Body Matters: A Phenomenology of Sickness, Illness, and Disease. 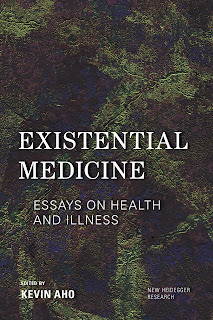 The new edited collection Existential Medicine: Essays on Health and Illness gathers together a group of leading figures such as Havi Carel, Shaun Gallagher, Drew Leder, Matthew Ratcliffe, John Russon, Jenny Slatman, Robert Stolorow, Fredrik Svenaeus, and Kristin Zeiler who draw on the methods of existential and hermeneutic phenomenology to illuminate the lived-experience of illness. The primary aim of the collection is to challenge the detached and objectifying standpoint of mainstream medical science in order to deepen and broaden our understanding of health and illness and offer more sensitive and humane approaches to healthcare. To this end, the volume is not so concerned with the application of medical science to fix the biological body. Rather, the essays are focused on the body as it is lived, and the various ways in which the lived-body’s relationship to the world is modified and disrupted in illness. The volume is conceived in four parts. Part one, “New Currents in Existential Psychiatry,” examines contemporary issues in the interpretation, diagnosis, and treatment of mental illness, the relationship between mental illness and authenticity, and the importance of situating the experience of psychopathology within the context of a life-world. The second part of the book, “Phenomenologies of Anxiety, Pain, and Death,” explores existential, diagnostic, and relational issues associated with experiences of chronic pain, live organ donation, medically unexplained syndromes (MUPS), and the meaning of death. The third part of the volume, “Ethics, Medicalization, and Technology,” consists of chapters devoted to the intersection of themes in biomedical ethics, phenomenology, and technology studies. The volume’s final part, “Existential Health,” turns to the ways in which the methods of phenomenology can be employed to critique an overly instrumental and technical approach to healthcare and aging and to reframe our current understanding of what it means to be healthy. 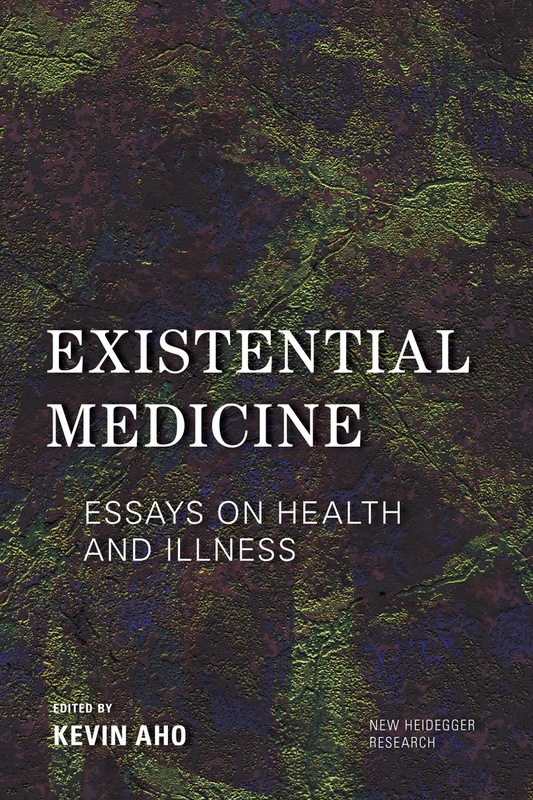 The essays in Existential Medicine illuminate a growing and increasingly influential area of research for philosophers, biomedical ethicists, medical humanists, and health care practitioners. Drawing on the insights of phenomenology, the authors expand our understanding of ‘what it feels like’ to be ill and the ways in which illness disrupts our relationship to the world. Today's post is by Finlay Malcolm, a Research Fellow at the University of Hertfordshire. He is currently researching on the nature, value and epistemology of faith, the ethics of testimony, and non-realist approaches to religion. Imagine that you’re having lunch with a good friend. You’re discussing work and you tell her that you were recently given an award for excellent achievement – something you’re very proud of. She has no reason to disbelieve your testimony: she knows that you’re a good worker, and that you don’t make things up. Nevertheless, she doesn’t believe what you say. What’s more, she explicitly informs you that she doesn’t believe your testimony. Why won’t she believe what you’ve told her? Suppose that her reasons are that she thinks you’re making things up to make yourself sound better at your job than you actually are. That is, she thinks that you’re lying. But of course, she has no good reason to think that you’re lying. The fact that she doesn’t believe you for the reasons she doesn’t may strike you as insulting and may make you feel offended. According to some writers, you would be warranted in feeling as though you have been insulted in this case. For instance, G.E.M Anscombe remarked that ‘It is an insult and it may be an injury not to be believed’ (1979, 150). In a recent article, I have defended an account of when and why ‘testimonial insults’ occur within the practice of testimony. The example above is insulting because the speaker has her sincerity called into question on a significant matter when dialoguing with someone of importance. You can also be insulted when you have your competence as a knower called into question, as when, say, you reject the testimony of a scientist because you think that he or she is poorly skilled qua scientist. Insults can be quite useful devices in some contexts. Telling corrupt and abusive politicians that they are a disgrace to their office may encourage a change of behaviour. But in some cases, we may have distinctly moral reasons to refrain from insulting others. For instance, when insults cause offence, and when they undermine collective and individual flourishing. These reasons are outweighed in the case of the politician, but what about cases of special relationships, like friendship? If we can insult a friend when we don’t believe her testimony, do we then have moral reasons to believe her testimony? Non-epistemic reasons for belief are controversial. It’s contentious even whether it’s psychologically possible to base a belief on non-epistemic reasons. Even granting the possibility of non-epistemic reasons for belief, in another paper, I argue that for many cases, testimonial insults do not need to be the basis of a person’s acceptance of some piece of testimony. This post is by Helen Ryland. Helen Ryland is a Philosophy PhD student at the University of Birmingham and funded by Midlands3Cities (AHRC). A philosophy student and a law student walk into a room. 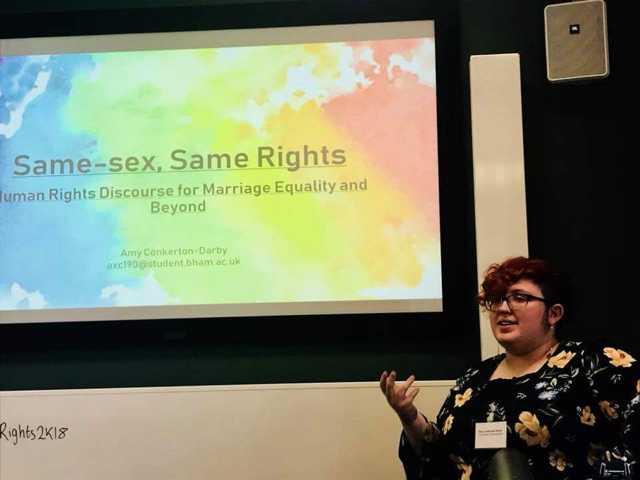 This is essentially how the ‘Human Rights in the 21st Century: Developing Rights in a Developing World’ conference was born. After discussing our PhD projects at an induction event (and then again over several coffees), myself and Sarasvathi Arulampalam (Law, University of Birmingham) realised that we wanted to work on an interdisciplinary conference that would allow researchers from a variety of fields to get together and actually discuss the changes and challenges that human rights are currently facing, and how we might go about responding to these issues. 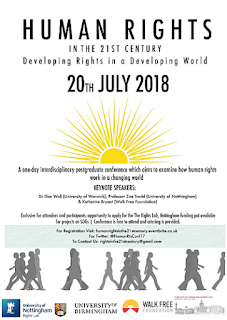 With the blessing of Alice Storey (Law, Birmingham City University), we applied to take over the organisation of her previous Midlands3Cities (M3C)- funded ‘Human Rights Challenges in the 21st Century’ conference. 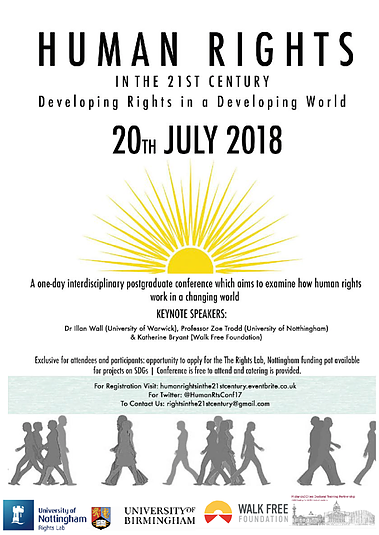 Our new conference was funded by a partnership between M3C (AHRC) and The Rights Lab, Nottingham, and we added three further members to the organising committee – Hannah Spruce (English and American Studies, University of Leicester), Amna Nazir (Law, University of Birmingham/Birmingham City University), and Thomas Crawley (Philosophy, University of Nottingham). The conference featured two keynote speeches from Professor Zoe Trodd (The Rights Lab, Nottingham) and Dr Illan Wall (University of Warwick). We were delighted that both accepted our invite to speak, and they delivered brilliant, informative keynotes on two very different topics. 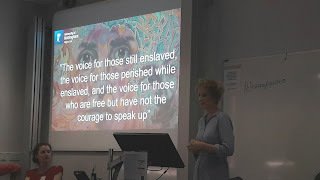 Professor Trodd discussed her work with The Rights Lab, Nottingham, specifically she explained a freedom blueprint that would allow us to tackle modern slavery as a problem of sustainable development. Dr Wall argued against an absolute commitment to rights. He ultimately concluded that we would do better by allowing for strategic engagement with human rights. Alongside our keynotes, the conference also featured four panels in which postgraduate students presented their research. In panel one – human rights and belonging – Bradley Hillier-Smith argued for our moral obligations to refugees. Bradley ultimately argued that we have a stronger moral obligation to aid those who are suffering as a result of severe human rights violations than we do to those suffering as a result of natural causes. This was followed by Nicholas M. Schenk’s discussion of statelessness, justice, and the protection of human rights, in which he explained how the global birth lottery is arbitrary. 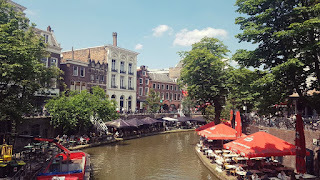 Today's post is by Daniel D. Hutto and Anco Peeters. Daniel D. Hutto (above right) is Senior Professor of Philosophical Psychology and Associate Dean of Law, Humanities and the Arts, at the University of Wollongong. and member of the Australian Research Council College of Experts. 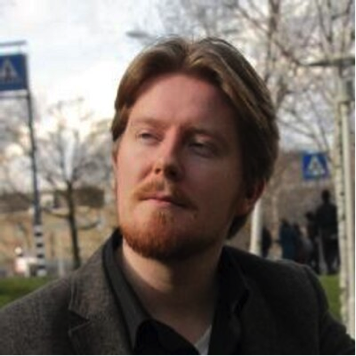 His recent research focuses primarily on issues in philosophy of mind, psychology and cognitive science. He is best known for promoting enactive and embodied cognition that is non-representational at root, and for his narrative practice hypothesis about folk psychology. Anco Peeters (above left) is a doctoral student and tutor at the University of Wollongong. His doctoral project investigates the compatibility of functionalism and enactivism and compares these frameworks in terms of their explanatory power with respect to mind-technology interaction. Attempts to accommodate a range of empirical findings about memory have provoked daring new thinking about what lies at the roots of remembering. Our chapter, 'The Roots of Remembering' in the New Directions in the Philosophy of Memory collection, develops an enactive account of remembering – one that casts remembering as fundamentally constructive, re-creative, and world-involving. The position we advance not only rejects standard cognitivists proposals: it goes further than conservative embodied and enactive approaches to memory in denying that the best explanations of remembering ever involves the retrieval of stored contents. Many regard acts of procedural remembering, such as the favourite example of remembering how to ride a bicycle, as essentially non-declarative. Remembering how is, arguably, like knowing how – namely, both are unlike remembering or knowing that in that they are not intrinsically contentful states of mind. Interestingly, there are a number of memory theorists that also hold that the retrieval of stored contents plays not part in the best explanations of procedural remembering. Our position is marked out in that it extends this line of thought about the non-contentful basis of procedural remembering and apply it to more sophisticated kinds of remembering, such as episodic and semantic remembering. Despite this, we argue that our account can still accommodate experientially rich forms of contentful declarative memory. This is because contents can be outcomes of acts of remembering even if the retrieval of stored contents plays no part in the basic processes that explain how we remember. Our chapter shows how theoretically reconceiving the basis of remembering along radically enactivist lines fits with and allows us to integrate three important experimental discoveries about the nature of memory. Firstly, it provides a new way of thinking about successful remembering can involve heavy scaffolding by the environment and other individuals. Consider a case that is prominently discussed in the literature on the extended mind – the plight of the Shakespearean stage actor in Elizabethan times (Sutton 2010). Such actors could be asked to retain command of lines for over seventy different roles (Tribble 2005). Obviously, the demands on their memory was immense. They would have been forced to make use of mnemonic techniques that depended heavily on the environmental cues and prompts provided by the playhouse and other actors. This an example of so-called distributed or extended remembering. Several theorists have sought to explain such Shakespearean actors memorize by appealing to processes that are not wholly and solely inside the head. However, we propose going further, arguing that such cases of extended remembering can be adequately explained without appealing to the idea that processes in question involve the retrieval of stored information or content that was previously off-loaded onto the environment (Tribble 2005, p. 151). 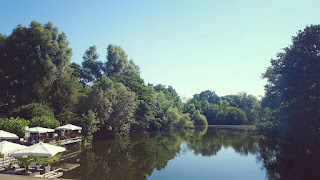 Such extended remembering can be achieved by cleverly rallying environmental clues and prompts that serve to trigger familiar, practised responses so as to generate the relevant lines and appropriate performances. Secondly, new work on episodic remembering has explored the idea that such remembering may be best understood as a kind of active, creative imagining (Michaelian 2016). Our radical, non-contentful account of remembering agrees. We propose that, instances of episodic remembering are grounded in a reconstructive process. Memories are simulatively imagined, where, again, we argue, that the process that underwrites such imagining does not involve passive recollection or retrieval of stored contents. Thirdly and more generally, our non-contentful approach to understanding the roots of remembering fits perfectly with a wide range empirical findings that have put pressure on the traditional idea that memory is fundamentally about accurately representing the past (De Brigard 2014). Our account, we contend, much more readily accommodates these empirical results than its traditional cognitivist competitors do. The chapter has already provoked some interest among memory theorists. At the Naturally Evolving Minds conference in in February 2018, Kourken Michaelian presented his paper 'Radical enactivism and (post)causal theories of memory' in response to our position. 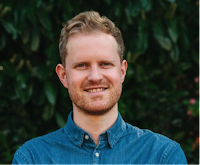 He investigates how our proposal fits the latest thinking about causal and post-causal theories of memory. Interestingly, if he is right radical enactivist and post-causal theories of memory may both be moving towards a contentless conception of the roots of remembering. Today's post is provided by Professor Nancy Snow. 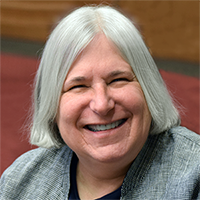 My name is Nancy Snow and I am a Professor of Philosophy and Director of the Institute for the Study of Human Flourishing at the University of Oklahoma (see here for more information). My paper, “Adaptive Misbeliefs, Value Trade-Offs, and Epistemic Consequentialism,” was recently published in the volume Epistemic Consequentialism, edited by Kristoffer Ahlstrom-Vij and Jeffrey Dunn (Oxford University Press, 2018). As the book’s title suggests, the collection is about various aspects of epistemic consequentialism. This is a view in the theory of knowledge (epistemology), according to which the production of epistemic value is the end at which beliefs or belief-producing processes aim. Epistemic consequentialism parallels ethical consequentialism in structure. I.e., just as ethical consequentialism tells us we should maximize happiness or utility in our actions, so epistemic consequentialism tells us we should maximize epistemic value in our beliefs. Epistemic value can take a variety of forms, such as increases in true or justified beliefs, understanding, insight, accuracy, and so on. A problem for epistemic consequentialism parallels a problem for ethical consequentialism. Some forms of ethical consequentialism condone performing apparently immoral actions for the sake of achieving greater good, e.g., telling a lie for the sake of making everyone happy. Similarly, some versions of epistemic consequentialism seem to condone holding false or unjustified beliefs when doing so will result in a net gain in epistemic value. My paper examines a larger problem for epistemic consequentialists involving possible trade-offs between epistemic value and pragmatic value. My position is that even when holding false or unjustified beliefs leads to an overall increase in value tout court, having them is, nonetheless, epistemically irresponsible. My paper focuses on adaptive misbeliefs. These are false beliefs, which, despite their falsity, help us to navigate the world and be effective agents. There is a lively literature on adaptive misbeliefs arguing that these beliefs are sometimes essential parts of our operating systems and help us to be functioning agents in a complex world. An example of an adaptive misbelief is my false belief that I am a good speaker. Having this false belief might buoy my confidence and keep me going through my class lectures, thus contributing to my ability to function in the world. In this post, I report from our applied epistemology panel at the Society for Applied Philosophy Annual Conference 2018, held in Utrecht from 29th June – 1st July. First Boudewijn explored epistemic injustice in consumer markets, starting from the observation that on some views of market forces and the relevant agents involved, increased competition ought to decrease discrimination – but this is not what we in fact observe: legislation, not competition, protects against discrimination. Boudewijn then outlined a number of areas where, despite the relevant civil rights acts, epistemic injustice crops up.